While fans, TV producers, and even George R.R. 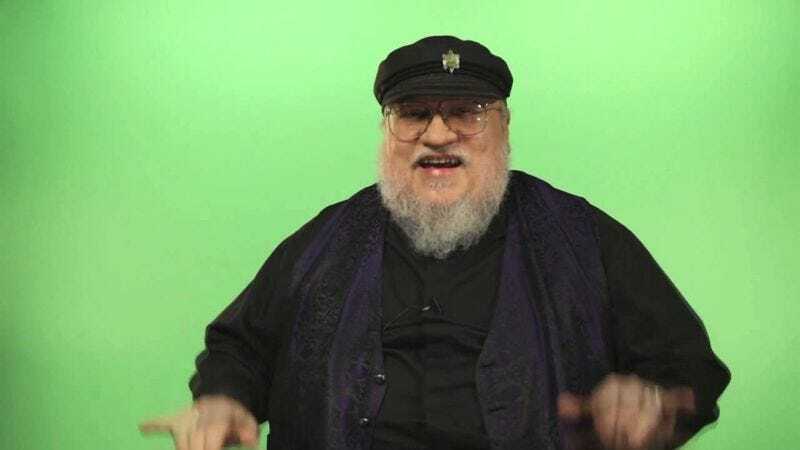 Martin himself have only become more vocally anxious in recent months about the wait for Martin’s sixth and seventh novels in his Song Of Ice And Fire series, now his editor has given you something else to worry about: an eighth novel. Anne Groell recently submitted to some fan questions on Suvudu Universe, where she was asked whether she really thinks Martin can wrap up the whole saga in seven books. Her answer is unlikely to comfort those who have thought that their current wait was somewhat close to over—or had already been somewhat defined. While you’re still awaiting the publication of that possible eighth book—and that letter, which Martin already wrote, at least—Groell gave an update on book six, The Winds Of Winter, which she believes will be out “reasonably soon.” According to her, Martin gave her 168 pages a little more than a year ago to meet a contract requirement, and “I know more exists, because he keeps talking about chapter he hasn’t yet sent me.” In the meantime, Groell reminds readers that she’s been as patient as anyone, even raising “a two and a half year old walking, talking human being“ while waiting around for one. Who knows how many children she could raise between now and an eighth book?